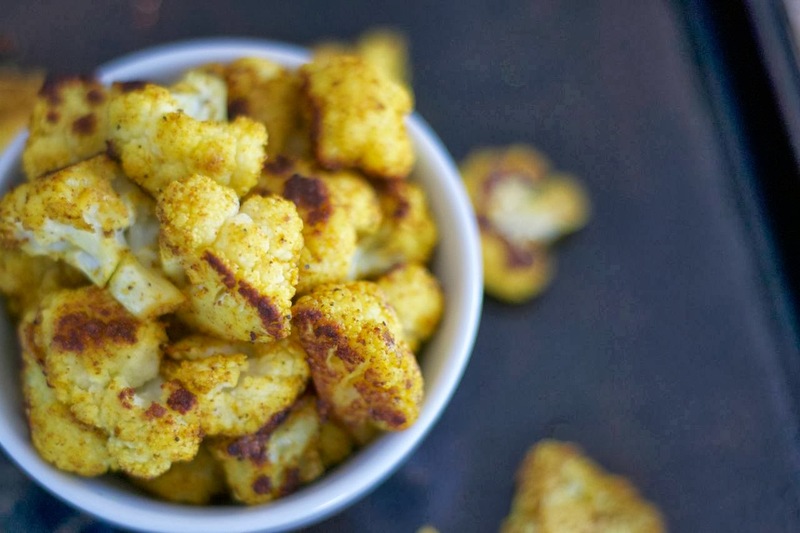 Roasted Curry Cajon Cauliflower – oven roasted cauliflower seasoned with curry and cajun spices giving it a South Asian flavor with a kick of Louisiana flair. Oh, and did I say it was addicting??!! 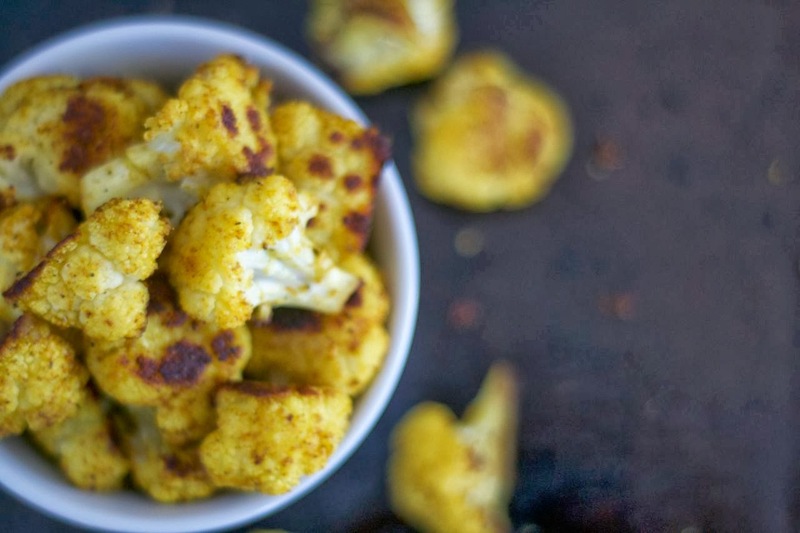 While I’ve never been a fan of cauliflower, I think this recipe has converted me. 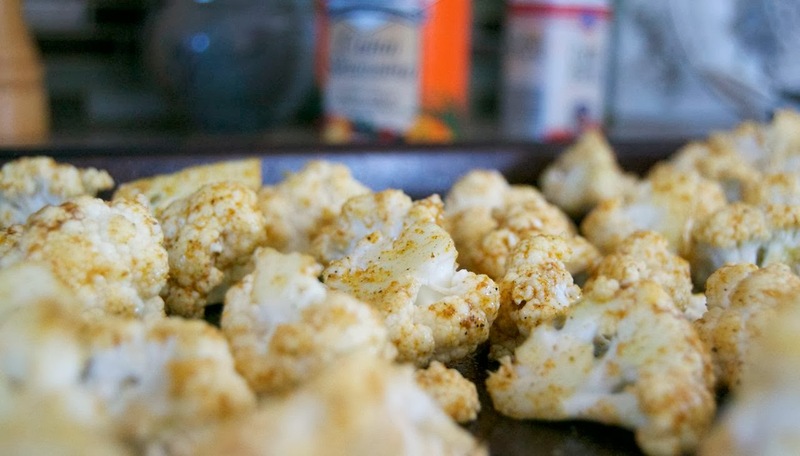 I’ve never been one to be pro-cauliflower, I think mainly because I don’t remember my mother ever once buying it, so I didn’t try it until later in my teens while preparing a veggie tray at work. I was an assistant stage manager at a local concert venue and could have been making the tray up for George Strait, Gloria Estefan, Roy Orbison, Howie Mandel, Laura Branigan, Willie Nelson (though I don’t think he ever ate his veggies) or who knows who else. So when I ate it raw, I really wasn’t nuts about it – really not that much flavor. Just kind of blah, I thought. Can you tell from my very adult vocabulary that I was, at that point in my life, the mother of two toddler girls and didn’t get out much? Speed that video up which takes you to today. Well, yesterday actually because that’s when I made this. I have been craving curry for the past few months now. I don’t even like food with curry. 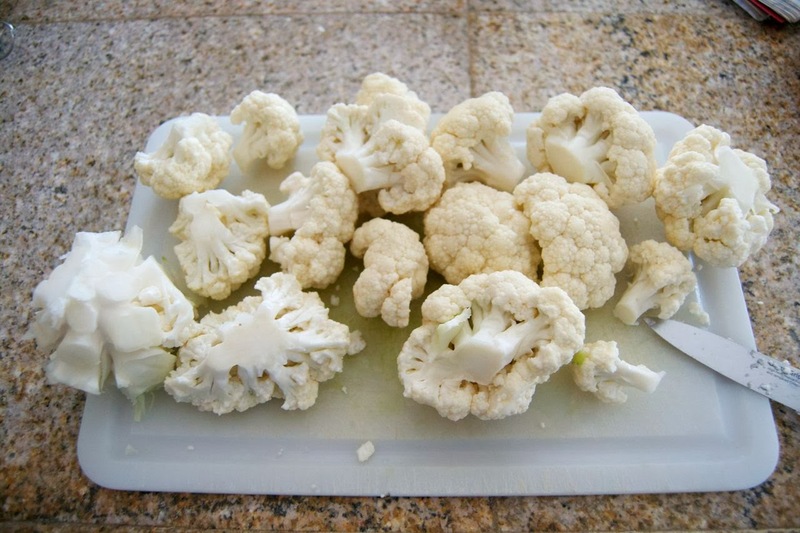 And now we all know that I don’t like cauliflower. I buy the stuff now occasionally, and usually drizzle melted cheese over it after I steam it. Other than that, we are more often than not eating broccoli 3 or 4 nights out of 7. I have to think out of the box more. So, that’s what I did yesterday. 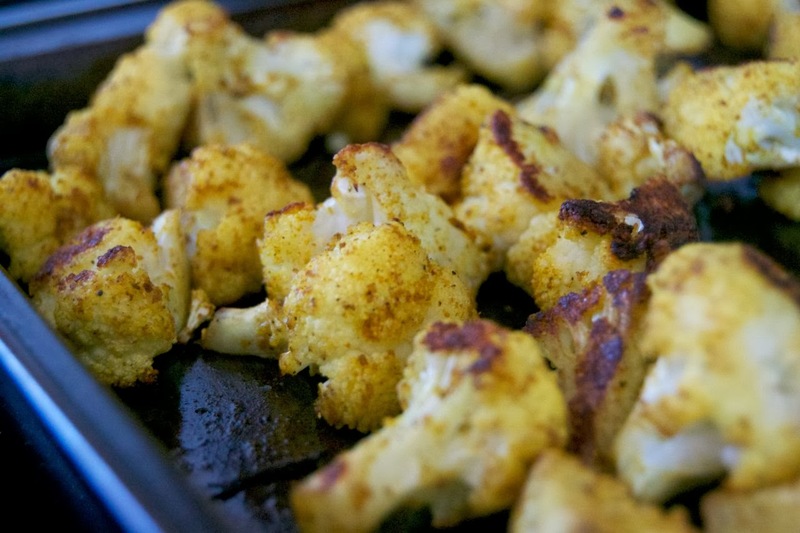 Thanks to my dislike of cauliflower and my craving for a spice that I am not really nuts about, I hit a HOMER out of the ballpark, I did! Un-FREAKI-believable was this cauliflower that I, yes I, Miss Lynne could not. I almost didn’t have enough to take a picture and then realized that instead of me being the only taste tester that I should get the family in on it. It’s a healthy snack or side!! Who knows, maybe one day I’ll turn it into a main dish! And it’s all sorts of yellow to brighten your day and bring spice to your life. The only issue I had was trying to name it. And I can’t tell you how many it really serves because it served one just fine and there was a tad bit left for sharing. So, maybe you should make two. And if you like curry. Preheat oven to 425 degrees F and prepare a rimmed baking pan by spraying it with cooking spray. 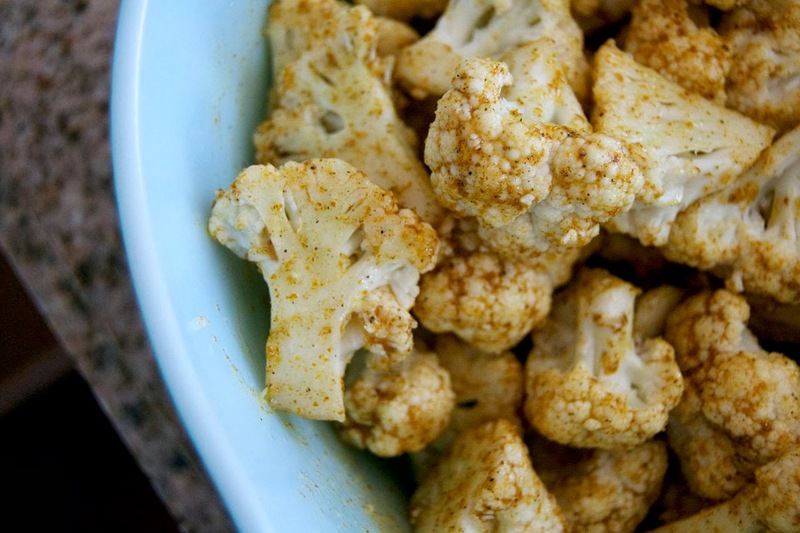 In a large bowl, combine olive oil, curry and Cajun Spice and mix until well combined. 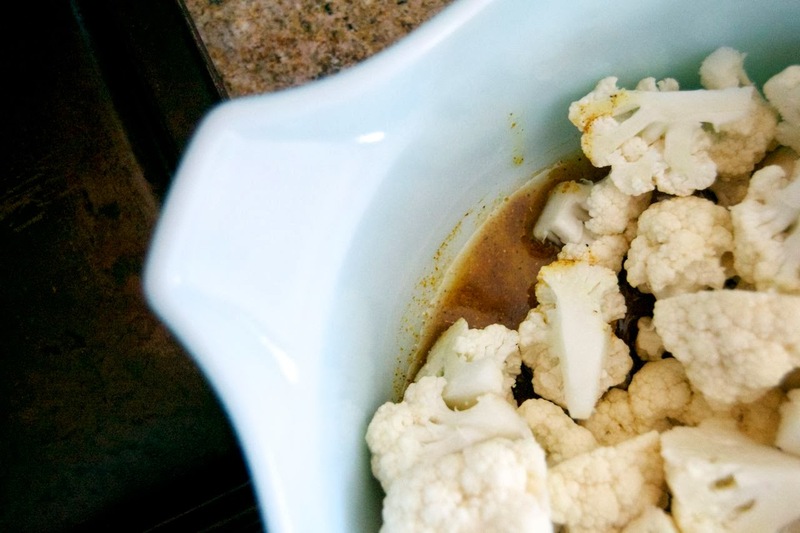 Add cauliflower and toss to coat completely. Place on prepared baking sheet in a single layer. Roast for 15 minutes. Toss and roast for another 7-10 minutes. 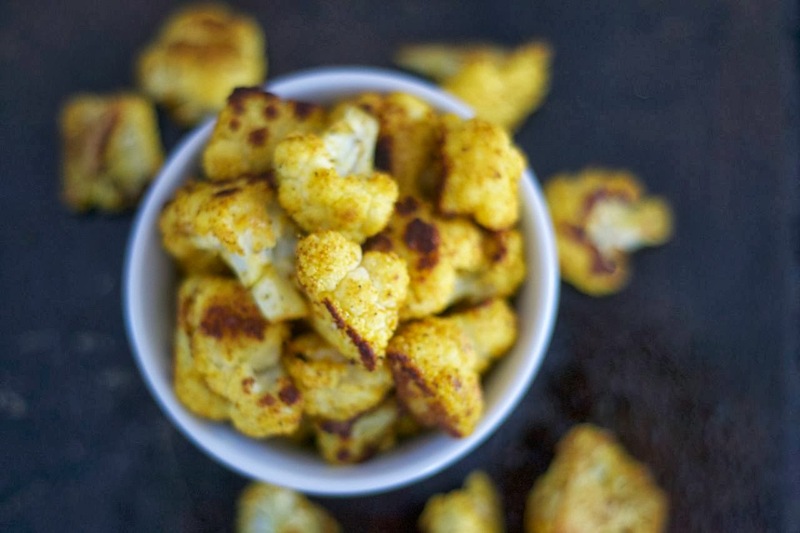 Cut that cauliflower up into florets. You know, those little tiny trees attached to the stem? Cut them off. You don’t need the stem. Throw that baby away. Toss them into the bowl where you have those magical ingredients waiting. Coat those puppies, er, I mean florets, really well so that the curry and all that yummy Cajun seasoning gets into those nooks and crannies. Place them on that baking sheet and let the oven transform these things into great tasting goodness. Roast for 15 minutes in a 425 degree F oven. Then toss them around a little and roast for another 7-10 minutes. I left mine in for 7, but was wishing I had left them in just a couple minutes longer because I really liked LOVED the brown parts. I just didn’t want to leave them in too long for fear I’d burn them. 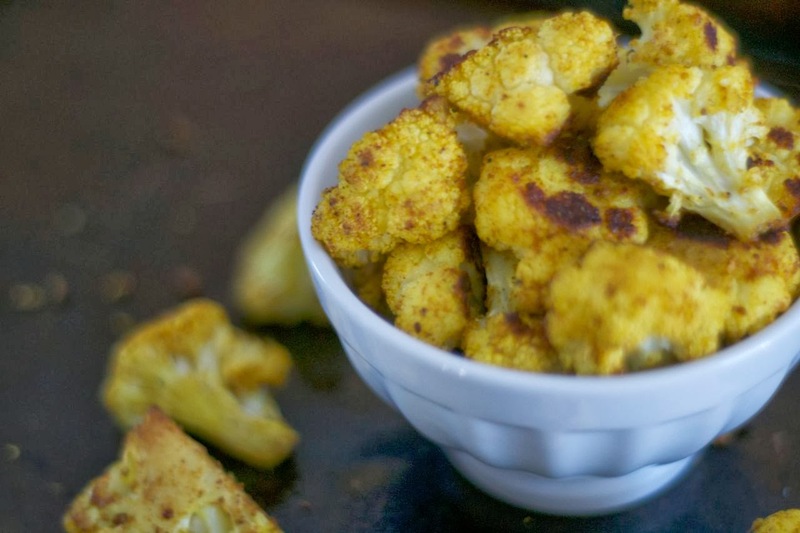 Burnt cauliflower would really be a turn off. Can someone please go to the store and buy me at least two heads of cauliflower? P.S. I think I may have to run to the store after work and seriously pick up those cauliflowers which are on special for 2 for $5. I’ll be in the kitchen if you need me. Oh yeah, and if you didn’t gather from my excitement that I really, really liked it, I’ll tell you anyway that it earned 4 rolling pins. 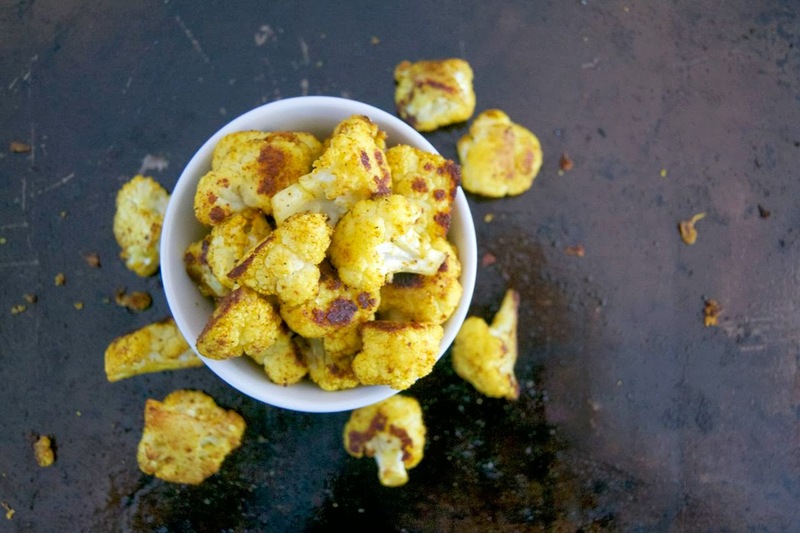 I like curry just fine but I loooove cauliflower! Oh my goodness I love it. I think I got your share of the cauliflower appreciation gene. 🙂 This curry cajun version is something I’ll have to try! LOL!! YAY!!!! Kristin, that’s so awesome to hear, thanks for letting me know!! You are very welcome. I’m so glad you enjoyed it.